BBC’s Meeting the world’s smallest primate (click link for the site and video), is being criticized for its inaccurate information. Made as an educational piece to show that the animal’s popularity with tourists is affecting the animals’ welfare, poor research and possibly bad editing culminated in some errors. While these errors are minute, they affect the overall educational purpose of this video. 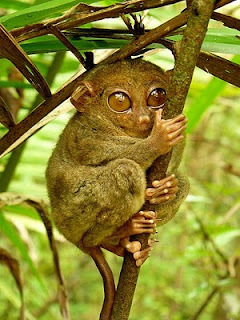 The show’s host referred to Philippines tarsiers (Tarsius syrichta) as marsupials. T. syrichta (and all tarsiers for that matter) do not have marsupium, the hallmark of marsupials. Tarsiers are primates, grouped in the suborder of Haplorrhini. 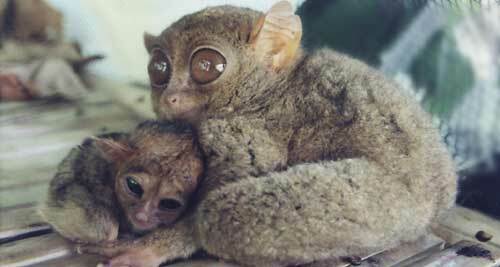 Tarsier offspring are born precocial, while marsupial offspring (joey) are born altricial. Precocial offspring are relatively mature and mobile after birth. There is a distinct slowing down in brain growth relative to body growth at around time of birth. Altricial offspring on the other hand are born helpless. Their brain growth declines during the developmental stage instead of around the time of birth. Human babies are unique within primates because they are born “secondarily altricial” (Martin, 2007). While human offspring are born helpless, their brain growth relative to body growth continues for about a year before slowing down. Calling tarsiers marsupials is just rude (don’t we all want to be primates?). The claim that Philippines tarsiers is the smallest primate is also false. 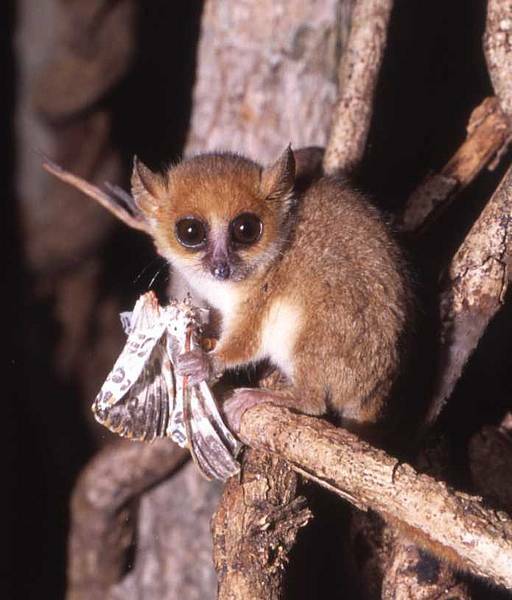 The title for the smallest primate actually goes to Berthe’s mouse lemur (Microcebus berthae) (Dammhahn & Kappeler, 2005). A Berthe’s mouse lemur (M. berthae). Male Philippines tarsiers weigh 119-153 g (4.2-5.4 oz) and females weigh 110-132 g (3.9-4.7 oz) (Gron, 2008). Philippines tarsiers exhibit sexual dimorphism, where males are slightly heavier than females. Berthe’s mouse lemur weigh 30.6 g (1.1 oz) for both males and females (Gron, 2009). Clearly, Philippines tarsiers weigh more than Berthe’s mouse lemur. Philippines tarsiers have a head and body length of 11.7-12.7 cm (4.6-5.0 in) for both males and females (Gron, 2008). Berthe’s mouse lemur have a head and body length of 9.2 cm (3.6 in) for both males and females (Gron, 2009). Clearly, Philippines tarsiers is longer in size than Berthe’s mouse lemur. Also read Bonn Aure’s BBC’s Faulty Tarsier Video on Time Travelling for his take on this video.